LeBron James is a Los Angeles Laker - so what does that mean? It means a lot to many different people, but most importantly, it means the Western Conference has been put on notice. 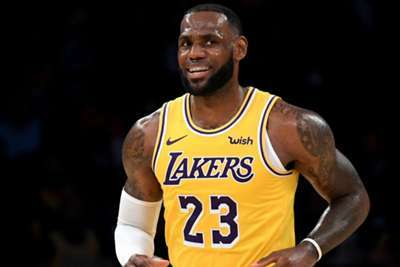 The Golden State Warriors are the favourites to win the title for the third year in a row and fourth time in five seasons, but every team out West knows it will have to go through James to get to the NBA Finals. No longer can teams rest on the fact James is in the Eastern Conference and there is no chance they will have to face him until the Finals. No, every Western Conference team now knows every single road goes through James and the Lakers. The Minnesota Timberwolves, Denver Nuggets, New Orleans Pelicans, Portland Trail Blazers and Los Angeles Clippers will not just be fighting for the final four playoff spots, they will probably be fighting over three as James will likely find a way to get his team to 50 wins and a top seeding. It means the Warriors and Houston Rockets do not just have to worry about each other; before they get to the championship, James could be lurking in either the first or second round of the playoffs. Everything in the West has got a little harder and it is all because of one man. But beyond this season, James' move could have even greater ramifications. The next two free-agent periods have become a lot more interesting as players like Kawhi Leonard, Jimmy Butler, Kemba Walker and Kevin Durant could move teams. One, or even two, could join James in Los Angeles. If that happens, the balance of power in the West could shift significantly and discourse about LeBron's legacy would no doubt come to the fore. If James can get out of the West and win another championship, that would be four titles with three different teams. James is already held in the highest of esteem and he could be in a league of his own if things work out positively for him in LA.